If you wish to benefit by becoming a seller on the Snapdeal platform, you need to register and then set up your online storefront. It is easy to register if you already have a running business but the tough part for most retailers is handling the online display of products. This is where DigiCommerce, the top Snapdeal Catalogue Service in India, comes to your aid and helps you set up shop as well as gain high traffic in a short time to boost revenues through the platform. If you are confused about online processes at Snapdeal, let us know and our team will take care of registration and setting up your trader platform on Snapdeal marketplace online with our catalogue services for Snapdeal. products and fine tune them for display on Snapdeal. 2) Our content writers develop concise, informative and persuasive content to go along. 3) We then create an e-catalogue of your products for your use. 4) Our team uploads photographs and text to your Snapdeal account. 5) Your storefront is set up and we enhance it with our Snapdeal boost service to drive traffic and translate it to highest conversions and revenues. Our expert designers will even design ads and we place them on Snapdeal for higher visibility. We assist with creating and launching campaigns and special offers. 6) If you are confused about your business model, benefit from our consultancy on product selection, obtaining funds through Snapdeal Capital Assist, product pricing and shipping modes. 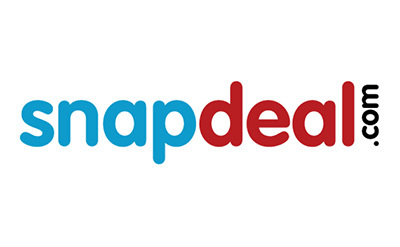 Why Snapdeal And Why Us For Snapdeal? 1) As an approved Snapdeal catalogue service provider we have full knowledge of online marketplaces and believe Snapdeal is at the top. Besides offering a storefront, they also assist with analytics and capital funding. 2) We know how Snapdeal works and how to launch products on Snapdeal and then follow it up with services to attract and retain customers. We manage catalogues and you are free to take care of more important things like inventory, products and revenues. If you are new to online selling, get in touch with us. We usher in a new era of prosperity through Snapdeal marketplace. If you have an existing presence but wish to enhance it, take our help. It could be life-changing.